Fit Brains has released a new iPhone app that encourages you to get walking. Available as a free download, Arookoo: Walk+Game is a breakthrough app that makes it fun to walk because every step counts. Two Canadian-made serious games have made the short list for the 2010 Games For Change favourite social impact games. The titles were nominated to the list via Twitter, Facebook and the Games For Change Google Group. Voting is now open to pick the top favourite. The Canadian titles named to the list are Inside Disaster – The Experience about the Haiti earthquake and Phylo – A Human Computing Framework for Comparative Genomics. Inside Disaster – The Experience was produced by PTV Productions in association with TVO. Funding was supplied in part by the Canada Media Fund, Bell Fund, the Canadian International Development Agency and Ontario Media Development Corporation. Inside Disaster was created to challenge “assumptions made about relief work in disaster areas.” Inside Disaster is not a game in the traditional sense – there is no score; instead, this very graphic and to-the-point experience allows you to work within the parametres of a relief helper, and then experience the outcome of any decisions you commit to. Note – this is not a game for sensitive people. The images are graphic and can be disturbing. Please heed the warning on the game’s site. Phylo – A Human Computing Framework for Comparative Genomics. Apparently the game isn’t as scary as the name implies. According to its site, the game is “just an interactive game that lets you contribute to science.” Phylo was made with the support of the Natural Sciences and Engineering Research Council of Canada, McGill School of Computer Science, McGill Centre for Bioinformatics and the McGill Computational Structural Biology Group. Discovery Channel Canada has a series of six videos from Popular Science’s: The Future Of… that looks at innovation in the field of Play. I believe that the videos on Discovery Channel Canada are only viewable via the web for those with a Canadian IP address, so my apologies to our international readers. Here is a link to the show on Discovery.com (US), and a link to Pop Sci’s videos on Discovery.com, which may or may not work for international viewers. These episodes of the show feature information about a mixed reality lets you reach into the computer game and control it with your hands, a smart football that teaches us all how to play sports like the pros, pervasive games take over entire cities and discover siftables: kids’ alphabet blocks on steroids. THQ and Relic Entertainment have released a new trailer for Warhammer 40,000: Dawn of War II – Retribution™, which is scheduled for release in the first quarter of 2011. In this latest chapter, which takes place years after the events in Dawn of War II: Chaos Rising™, Retribution allows players to choose their perspective with the first multiple-race single player campaign in the Dawn of War II series. The first race to be revealed is the savage Orks, but no matter which race is chosen players will be taken on an epic journey through each story arc, revealing the answers to many questions left open in previous Dawn of War titles. As well as the single player campaign, Retribution will feature new multiplayer units, maps and an entire new playable faction when it ships. Get Set Games has released Mega Jump for the Android platform. Available free of charge, Mega Jump can be downloaded to your Android phone by scanning the game’s QR code on the Get Set page. ParetoLogic’s staff has come together once again this holiday season to provide gifts and charity for those in need. The Salvation Army Christmas Angels campaign and the Mustard Seed food bank have both been long-time recipients of ParetoLogic charity activities. This year, staff managed to up their donation levels, to provide happier holidays for those in need. The Mustard Seed collects non-perishable foodstuffs for the underprivileged, and feeds over 7000 people a month in the Victoria area. To collect food, an extra-large hamper has been a mainstay of the ParetoLogic offices for the holiday season. The 125-litre bin is full to the rim with donations from ParetoLogic employees and their families. The Salvation Army Christmas Angels program collects donations of toys and distributes them to children in need. An estimated 6000 children will receive gifts through the Christmas Angels program this winter. Donators are provided a child’s age and gender, and then pick out an appropriate present. The gift is transferred to the child’s parents, so they may give their daughter or son a happy Christmas. ParetoLogic staff donated 33 gifts this year, for children aged between two and 18. “Mustard Seed is a charity for life, but the Christmas Angels is a charity for the soul. All children deserve a merry Christmas, and we are delighted to help do that,” said Wilson. Readers of Canada’s national current affairs magazine can now enjoy Maclean’s at their tech-savvy fingertips with the Maclean’s App for iPad, now available on the App Store. The inaugural issue of Maclean’s magazine for iPad features content from Maclean’s Newsmakers 2010 special issue. Each issue of Maclean’s comes complete with all the news, commentary, photography and columnists that have made the magazine the country’s most indispensable weekly read for more than a century. The content is beautifully rendered for iPad with an array of enhancements that bring the pages to life: embedded video, photo galleries, digital links, a live letters section, issue-at-a-glance and other navigation tools, and also gives readers the ability to save their favourite articles and share them with friends and family via Facebook, Twitter and e-mail. While the Maclean’s App is available for free from the App Store on iPad, each downloadable issue is priced at $2.99. Maclean’s 6th annual and biggest-ever Newsmakers edition looks at the year’s winners and whiners, heroes and heartbreakers, sinners and saints. Among them: Newsmaker of the Year Sidney Crosby and other Canadian Olympic heroes; Justin Bieber and Toronto Mayor Rob Ford; the arrival of British Prime Minister David Cameron and the election of Dilma Rousseff, Brazil’s first female president; and the exits of Michaëlle Jean, Simon Cowell, Lloyd Robertson and Cathy cartoons; the dramatic rescue of the Chilean miners, the many setbacks of Barack Obama, the comeback of Conrad Black—and the triumphant return of Betty White. Driven by North American, European and Asia Pacific markets, online gaming continues its steady growth and the latest purchasable study from American-based ABI Research forecasts revenues of slightly more than $20 billion in 2012. Technology developments will mean new opportunities for connected devices beyond the computer. The increasingly varied and range of connected devices will also permit gaming on more platforms. For example Free, a French broadband and IPTV provider, has partnered with Intel to develop a very advanced set-top box (Freebox Revolution). The STB includes an Intel Atom processor, controller with gyroscopic inputs, Blu-ray player, powerline adapters, Wi-Fi, and a game controller. While these games might be more locally- based for now, they point to the potential for opening this up to multiplayer and MMO gaming. There are challenges, though. Mobile gaming (eg. on smartphones) could be disruptive. The market is fragmented, with proprietary platforms the rule, posing difficulties for developers trying to serve a number of smaller platforms rather than a few big ones. And the growth of cloud gaming demands more and bigger servers and data centers. ABI Research’s “Gaming in the Cloud” study examines the casual and Massively Multiplayer Online (MMO) games markets and the potential role for connected consumer electronics. It contains regional revenue forecasts and discusses pressing technical issues and is part of the Digital Living Research Service. ABI Research provides in-depth analysis and quantitative forecasting of trends in global connectivity and other emerging technologies. From offices in North America, Europe and Asia, ABI Research’s worldwide team of experts advises thousands of decision makers through 30+ research and advisory services. Leading our News Briefs today, the Canada Media Fund’s Experimental Stream Application Form is now available for download from the CMF web site. Also announced today were the winners of the CMF Hot Docs Contest. The two winners were Mark Montague of Saskatchewan, Producer and Director of Minds Eye Entertainment, and Agata Ivanna Pogorelsky of Toronto, Creative Assistant at South American Vision. Both won passes to the 2010 Hot Docs Festival, giving them access to all films and festival events. Toronto-area Mario fans of all ages will be among the first Canadians to get hands-on play time with the sequel to the 2007 debut Super Mario Galaxy. A special guest will make a surprise landing during the event, where participants will be able to enjoy on-site entertainment, receive exciting Nintendo giveaways (while supplies last), and have the chance to win 1 of 50 copies of the new game. The Canadian launch party for Super Mario Galaxy™ 2 will take place at Yonge-Dundas Square on Sunday, May 23rd from 12 noon until 8pm. For those who may not already know this, Reader’s Digest Online teamed up with Fit Brains to bring some of their popular word games to the internet, your PC and yes, your iPhone. 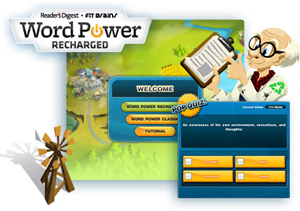 Word scrambler Word Power: Brain Sparks is available in the iTunes store for $2.99, while Word Power: Recharged is playable on your PC at the Reader’s Digest site or at Fit Brains, and will be available through other game portals as well. A third game, Word Power: The Green Revolution is downloadable to your PC for only $19.99 from either site. All three games are linked to the Word Power Network, which allows players to see their placing on the leaderboards and share in-game awards. 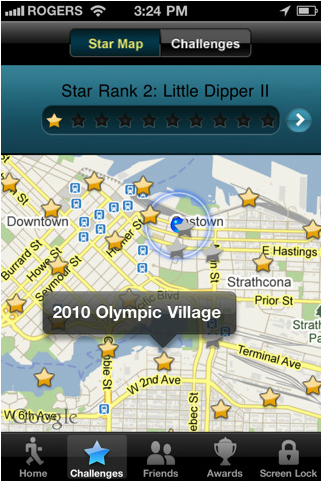 Today is the last day that you can grab IUGO’s Daisy Mae’s Alien Buffet for the iPhone for free. You’d best hit the iTunes store now and grab this crazy earth-based alien-shoot-em-up while you can, because tomorrow you’ll have to pay for it. This offer is brought to you in part by OpenFeint’s Free Game of the Day programme. The aliens don’t stand a chance, because last Saturday, over 125 000 earth defenders joined Daisy Mae and her cause to rid the planet of hostile inter-planetary immigrants. Bioware has announced new DLC for Mass Effect 2. Overlord will be available in June for 560 MS (or Bioware) points and will offer five new action packed levels and two new achievements. 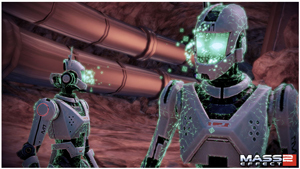 The action in this next DLC expansion will centre around an experimental and dangerous Virtual Intelligence creature that has been unleashed and is taking over any technology it finds to serve its purposes, including the Geth. Commander Shepard and his (or her) squad must infiltrate the VI’s heavily guarded fortress and shut it down before it can beam itself off planet, continuing its wave of havoc across the galaxy. Dartmouth’s Innovacorp will be presenting a breakfast seminar on the morning of May 26th at the Innovation Boardroom, starting at 8:45am. The seminar’s topic is Building Effective Distribution Channels and will feature an expert panel who will discuss insights and advice on distributors and distributor agreements. The panel will be moderated by Innovacorp’s interim president and CEO, Stephen Hartlen, and will feature Ian Lucas, executive vice president of innovation and strategy, Ocean Nutrition Canada Ltd., Robert Nadeau, a partner at law firm Kerr & Nadeau, and Mike Flynn, director of business development at Tether. After six weeks of heated debate from online discussions about Canada’s future in the digital economy, three winners emerged from the ‘crowdsourcing’ competition called Canada’s Digital Compass, hosted by PricewaterhouseCoopers LLP (PwC). The dialogue was spread among contributors from all parts of Canada and included more than 1,200 site visitors and overall, 70 ideas were submitted for voting. The categories were judged by a panel from a wide range of industry backgrounds as well as community participation. Each week, starting on March 16, a new subject competition was launched and the five topics were: technology, education, media production, connectivity and policy development. – Second place: Russell Fordham for his thoughts on “Digital Literacy for All Canadians.” Russell suggests that for Canada to be a global leader in the digital economy, all our citizens need to have the basic abilities to function and thrive in this environment, supported with the partnership of government, educational institutions and businesses. – Third place: Alan Sawyer for “Implementing Temporary Advertising Tax Credits to Stimulate Canadian-based, On-line Video Distribution.” Alan notes that implementing tax credits for allowable expenditures on advertising at Canadian-owned, new media content sites would stimulate the development of new Canadian sites and increase Canadian content available for Canadian-owned media distribution. The winners all received tickets to the Canada 3.0 Conference in Stratford, Ontario which took place May 10-11. The event featured leaders from across the country who continued the conversation on the future of digital media in Canada. “We created Canada’s Digital Compass to encourage new discussions to a broad audience on this topic and our goal was certainly accomplished,” says Tracey Riley, partner and national leader of the Technology, Information, Communication and Entertainment (TICE) practice of PwC. I started playing Bioware’s newest release last night. 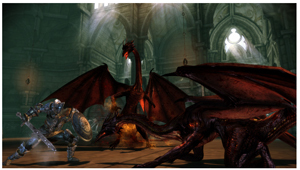 Dragon Age: Origins – Awakening is full of gaming goodness, thus far I am quite pleased with the expansion – other than not being able to connect to the Dragon Age servers, that is. I only had time to play it for a couple of hours last night, but I am really liking the new skills and abilities. So many more decisions to make on character development and tactical slots. There are undoubtedly many players who are much further into the chapter than I am, but I haven’t gone looking on the Bioware Community Forum for any reports back because I don’t want any spoilers. I am kind of missing having my warrior dog and the companions from Origins, but thus far Oghren and Anders are keeping me amused. I am only just starting to venture out from Vigil’s Keep (yes, I play slow because I explore absolutely everywhere I possibly can and I talk to the NPCs often, because you never know what you may find out. There was a surprising turn of events during the Joining ceremony near the beginning of the chapter, but you can be sure I will be playing this chapter more than once to see what other differences or surprises there may be, depending on the choices I make. Now on to getting the rest of today’s news posted so that I can go and continue my journey in Ferelden. Burnaby – The dev crews over at EA Black Box have been very busy. Yesterday the studio announced the official Need for Speed World beta launch, and today they’re inviting gamers to team up and throw down in Skate™ 3, the latest installment in the award-winning franchise. Skate 3 will be in stores in North America on May 11th, 2010 and worldwide on May 14th, 2010. Redefining the skateboarding experience, Skate 3 breaks new ground by letting gamers build their ultimate skate team both offline and co-operatively (*internet and EA account required for online play) to take on new challenges or competitive battles against other teams. In the all-new Skate.School, Coach Frank acts as a mentor and teaches newcomers the ropes by showing them all the ins-and-outs of skateboarding as they hone their skills on the sticks before hitting the streets with their team. Veterans will also feel right at home in Skate.School as they refresh their skills but also learn all the new tricks SKATE 3 has to offer including darkslides and underflips. Gamers can hit the streets with the pros in the all-new city of Port Carverton – a true skater’s paradise with unique districts, skate parks, and endless lines. For fans with a creative flair, the new Skate.Park editor allows gamers to create their own dream plaza or mega-ramp park from scratch or use the Object Dropper to alter the landscape of Port Carverton to truly change the face of the city. 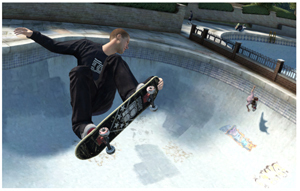 In the end, SKATE 3 delivers a completely immersive and connected experience, giving gamers the tools to build and share their own skate parks, videos, and photos with all their friends by uploading them via the internet directly from their console or by importing custom created graphics & logos from the Skate website (*internet and EA account required). SKATE 3 will be available on the Xbox 360® video game and entertainment system and the PlayStation®3 computer entertainment system and is rated “T” for Teen by the ESRB. Ottawa – The Cultural Human Resources Council has asked The Conference Board of Canada to examine the cultural sector workforce in Canada. They want to learn about your opinions on the opportunities, challenges, trends and issues that you face; as well as your suggestions for enhancing the quality and sustainability of Canada’s cultural sector. The Cultural Human Resources Council works for and with all the cultural industries and arts disciplines in the cultural sector including: Live Performing Arts; Writing and Publishing; Visual Arts and Crafts; Film and Television Production; Broadcasting; Digital Media; Music and Sound Recording; and Heritage. To help to maintain funding and programs specific to the need of the cultural sectors, please take the time to complete the survey. There is a survey tailored to employees, freelancers and employers. The survey can be accessed online. Sault Ste Marie – There is plenty of activity going on at Algoma University as well. The University will be hosting the 3-day Digital Storytelling Workshop organized by the Queer Voices of the North Film Festival. The workshop will be held in the Round Room at the George Leach Centre March 22nd to the 24th, 2010, and is intended to provide a venue for local lesbian, gay, bisexual, transsexual, two-spirited, and other transgendered or queer (LGBT2SQ) youth to share their stories about living in the North. The Digital Storytelling Workshop is being conducted by Toronto’s Centre for Digital Storytelling. The workshop will bring 10 LGBT2SQ youth through the process of creating their own digital stories which participants can opt to screen on Saturday, March 27th, during the Queer Voices of the North Film Festival. Digital stories are two to five minute videos created by individuals sharing their own stories through voice, images, music, and other found objects in their lives. The digital storytelling workshop blends creative writing, oral history, and digital video production to support individuals and communities in making connections between their own lives and the lives of others. The workshop is quickly filling up, and any interested individuals are asked to apply soon. Applications are available at the Queer Voices web site, and can be submitted online or they can be picked up and returned in person to Desireé Beck, Healthy Sexuality Co-ordinator at HARP, located in the Group Health Centre offices at 262 Queen St. East. Applicants must identify as a member of a minority sexual or gender identity (LGBT2SQ) and be under the age of 30. Some subsidies are available for Northern youth from outside Sault Ste. Marie to attend the workshop. Algoma U has also opened its Games for Health studio, which is student-run and will focus on developing video games which have therapeutic benefit. Over the past few months, Algoma Games for Health has been working with Toronto Rehabilitation on a prototype for recovering language skills after a stroke. The concept is to develop a game that can be used remotely by patients and therapists. Games can also automatically collect valuable research data and monitor patient progress, and they can be delivered to those in need in a cost effective manner that is not restricted by geographical concerns or proximity to therapists. Furthermore, Algoma Games for Health presents an excellent opportunity for its bachelor’s and master’s students to work in a professional studio on real-life projects. Last year, two students worked on the prototype of the language skills recovery game. Algoma’s innovative MSc program in gaming (linked by videoconference over advanced networks such as ORION and CANARIE to the University of Abertay Dundee in Scotland) has graduated its first crop of graduates – some of whom have found employment in the field in the Sault Ste. Marie region. In addition, the Algoma Games for Health initiative is not only an ideal learning ground for students in real-world gaming applications, it may also become an incubator for program graduates to work on specific projects. With funding from the municipal, provincial and federal governments and now with a full-time staff of four developers, Algoma Games for Health is also exploring the potential of videoconferencing technology to connect therapists to patients in their homes. Toronto – Portfolio Entertainment Inc. has brought together a diverse and prominent pool of jurors from across the globe to weigh-in on the top 15 finalists and select the winner and runner-up of the company’s recently launched “In Toon With Tweens” animation contest. Lending their expertise to select the two most entertaining, innovative and bold projects are Carole Bonneau (TELETOON Canada inc.), Marc Buhaj (Disney Channels EMEA), Rick Clodfelter (Cartoon Network), Jocelyn Hamilton (Corus Entertainment), Linda Simensky (PBS KIDS), Andra Sheffer (Bell Broadcast and New Media Fund) and Shari Cohen (Ontario Media Development Corporation). Contest prizes total $10,000 CDN in cash as part of Option and Development Agreements and winners will be notified on September 15, 2010. The announcement was made today by Portfolio Entertainment’s Co-Founders & Presidents, Lisa Olfman and Joy Rosen. Hailing from one of Canada’s leading children’s broadcasters, Carole Bonneau is VP, Programming for TELETOON Canada inc. where she oversees the acquisition, original production and scheduling strategy for four distinct nationwide specialty television channels, TELETOON English and French, and TELETOON Retro English and French. Representing the world’s most recognizable mouse, Marc Buhaj currently serves as SVP Original Programming for Disney Channels EMEA overseeing all aspects of Disney Channels Europe, Middle East and Africa’s content including Disney Channel, Disney XD, Playhouse Disney and Disney Cinemagic. Providing support from global powerhouse Cartoon Network, Rick Clodfelter, serves as Director, Acquisitions & Co Productions and is responsible for acquiring pre-produced series, specials, short-form product and series co-productions that fit the Cartoon Network and Boomerang brands. Representing Canada’s leading kids broadcaster, Jocelyn Hamilton, VP, Programming and Production, Corus Kids, oversees the programming and content strategies for YTV, Treehouse and Nickelodeon in Canada, as well as Nelvana Studio. Stepping-in to represent the renowned U.S. public broadcasting service, Linda Simensky is Vice President of Children’s Programming for PBS KIDS. In her role she collaborates with producers, co-production partners and distributors throughout development, production, post-production and broadcast for existing and new series. Offering insight from the world of digital media, Andra Sheffer, Executive Director for Bell Broadcast and New Media Fund manages three private funds supporting the Canadian television and new media industries: the Bell Broadcast and New Media Fund, the Independent Production Fund, and the COGECO Program Development Fund. Rounding out the panel of judges, Shari Cohen, Program Consultant for Ontario Media Development Corporation, brings decades of animation production and entertainment law experience to the table. Currently, she specializes in facilitating the development and production of creative content for screen-based delivery platforms through programs such as the OMDC Screen-Based Content Initiative and the new Intellectual Property Fund. The “In Toon With Tweens” animation contest is an initiative designed by Portfolio Entertainment to encourage creativity and out-of-the-box thinking by throwing the doors open to new voices within the global animation community. Animators and creators with serious comedy chops are invited to submit their original television or multiplatform projects targeting kids 8 to 12 years old for a chance at $10,000 CDN in cash as part of Option and Development Agreements. Entries must be received by June 15, 2010 and winners will be notified on September 15, 2010. Complete guidelines, eligibility requirements and instructions for submission can be found online. Hamilton – WeMuv is the new virtual world travel adventure game and social network that keeps you on the Muv! Developed for kids ages 6 and older, WeMuv promotes a balanced, healthy lifestyle while having fun with the technology and gadgets that keep kids excited. The online multiplayer game promotes physical activity via the use of a specially encrypted pedometer. Kids play the adventure game online but in order to advance to new levels and have their WeMuv character stay healthy, they must leave the computer and engage in physical activity while wearing their pedometer. By getting Muv-ing kids earn steps on their pedometer but they never know how many steps they’ve earned until they upload their pedometer at the WeMuv site. The step “currency” they’ve earned can then be spent to unlock new adventures, advance to new levels and buy nutrition to keep their WeMuv character healthy. “WeMuv creates what most parents want, balance in their children’s lives and healthier lifestyle habits” says WeMuv Co-Founder and CEO Lisa Savelli who is a family therapist, anti-bullying expert and celebrated children’s book author. On the WeMuv online platform kids travel throughout the real world online and learn about other countries and cultures, making new friends and sharing positive interaction all with the safety and security of parental controls and limits. Vancouver – Research has shown that brain health begins to lag as early as age 25. However, the same research has shown that with regular brain fitness training, the brain can create new neural connections and pathways at any age. In response to this research, Vancouver’s Vivity Labs has created FitBrains.com, a new online brain fitness platform that hosts fun, casual games developed by brain fitness experts, specifically designed to exercise the brain and improve the five major cognitive brain functions – memory, concentration, language, executive functions (logic and reasoning), and visual-spatial skills.